No matter what your business needs are, there’s a RAM commercial vehicle for you! The RAM 1500 for sale in Idaho Falls will be your greatest asset on Blackfoot jobs, and the Chassis Cab offers incredible power. Contact Ron Sayer's Chrysler Jeep Dodge for help choosing the right commercial vehicle, such as the RAM Promaster City, for your Pocatello business. 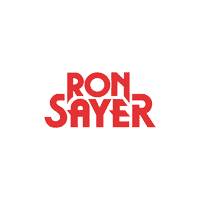 Whether you’d like to take your floral shop on the road to optimize your customer service or your dream of owning a food truck in Rexburg is about to come true, the professionals at Ron Sayer's Chrysler Jeep Dodge can help! When you’re ready to take the next steps, our finance specialists are here for you to guide you as you secure a loan or create an optimal payment plan. If you’d like, you can apply for financing online to get pre-approved. For incredible power from a fuel-efficient engine, check out the RAM 1500 Ecodiesel.